There are times when my newsfeed would be filled with thoughts of self-loathing from many of my most talented students. Sometimes, I would even hear self-doubt from my fellow developers and faculty members. I believe, as creators, we all have these moments because we all know that to rest on our laurels would immediately mean the death of our skills. So let me just reach out in the hopes that you can get yourselves back on track. 1. You are a creator. What does this mean? You are constantly gripped by images and systems in your head and you always find ways to let them out. It could be through writing, drawing, making music, creating films, inventing etc. The important thing is that it manifests itself through some form of an end product. Most creators do not wish to be managers and this is all right. Society has cultivated the idea that to be somebody, you need to be climbing that corporate ladder or running the rat race. You don’t need to. It took me quite some time to realize this, even though I am constantly thrown toward leadership roles and it took me another while to learn how to say no. If you are perfectly happy with creating, then bask in the glory of it. 2. Sometimes you will starve. One of the pitfalls of being a creator is the inability to market one’s self. Sometimes, this stems from the inability to fight for what you are worth. So many of us will work 9-6 jobs because this is the stable path, even though a good percentage of these people will be unhappy with the choice. If you are the type of creator who wants to go down the road less traveled, you will have to develop the discipline of organizing your time and prioritizing projects. You will also have to swallow a bit of your pride and go out there (hard for introverts) to be seen and heard. You cannot afford to let self-doubt and any other distractions sway you from delivering because you will starve. In the time of social media, irresponsible actions will speak louder and faster than your words. 3. We all start as newbies. I’ve started and restarted tracks for the 17 years that I had been in the multimedia industry. In all those years, I had been a web developer, a game scriptwriter, a visual artist, a published research writer, and most recently, a game author. Each and every time I begin learning a new skill, I expect to deal with self-loathing and other people’s rejection. I usually joke that I eat rejection for breakfast. I also keep copies of my old works, just to laugh at how much of a noob I had been. When you remember this, you will be kinder to both yourself and to other newbies. 4. You need real critics. 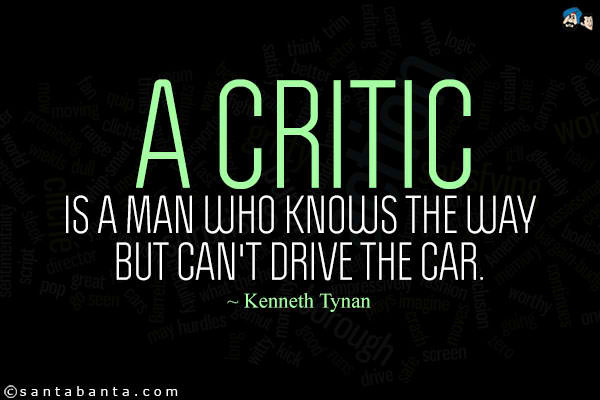 Critics are important to us, but you must discern which ones to listen to. Let me expound a bit on this, because this part is what most of my students and colleagues dread most. The ones who experience what you’ve made (readers who’ve read, viewers who’ve viewed, listeners who’ve listened), they are necessary. They will tell you what needs to be improved based on how they’ve experienced your creation so that when you start working on another project, you’d know what you need to avoid. This is why I have editors for my books (Maite Salazar and UP review committee), a curator for my amateurish art (Director Elvert Bañares), and playtesters for my games (friends from Anino Games and IGDA Manila). There are times when you’d like to resist a suggestion but you MUST let yourself sit on them. I experienced this strongly during the testing period of my game Prologue: A Guardian Story. My volunteer lead tester happened to be Anino Games Inc.’s Quality Assurance Director, Tricia Monsod, and she had a truckload of feature suggestions that my chosen game engine (RPGMaker VX Ace) could not give by default. I spent days torturing myself over these suggestions and pestering a number of Ruby programmers in YouTube for solutions. The end result, however, made the gameplay experience a lot less clunky than the pre-Tricia version. It was during this time that I realized the true value of testing feedback, value that I had taken for granted when I was still employed in studios. As an educator, when a student presents a creation that doesn’t belong in my preferred genre, I give that student enough respect to experience his or her work before giving my two cents. If I do not understand the project’s goals, I ask questions and do the research necessary in order to give proper feedback. Most of the time, I recognize a project’s worthiness and production value, regardless of my preference. 5. You don’t need trolls pretending to be critics. Trolls are people with too much time on their hands. In fact, it amazes me how much free time trolls have. Let me just create a clearer definition for this write-up: trolls are people who have never experienced your creation but will compose paragraphs upon paragraphs of bitter words against your work. I had experienced this last year, when a relatively fresh graduate took one look at my resume and declared I had identity crisis and again recently, when I was told that trolls found my game on Reddit. Do note: A creator who has achieved a decent level of success would never spout garbage against another creator. Instead, successful creators share their knowledge and provide solutions instead of snide remarks. This is why successful creators are also in education, because their craft may have fed their egos but teaching feeds their spirits. A successful creator would never put newbies down but instead help in lifting them up because s/he is secure enough about what s/he can do. As for dealing with trolls: Don’t give them the satisfaction of consuming what they regurgitate and just move along. The have a lot of time to waste writing hateful paragraphs. YOU DON’T. Your time should be spent creating. So create and improve on your next iteration. This entry was posted by skysenshi on June 12, 2014 at 10:51 am, and is filed under Blog. Follow any responses to this post through RSS 2.0.You can leave a response or trackback from your own site.